We handle personal injury cases almost exclusively on a contingency fee basis. Whether your case involves a jury trial, or a trial to a judge, our attorneys have extensive courtroom and trial experience. 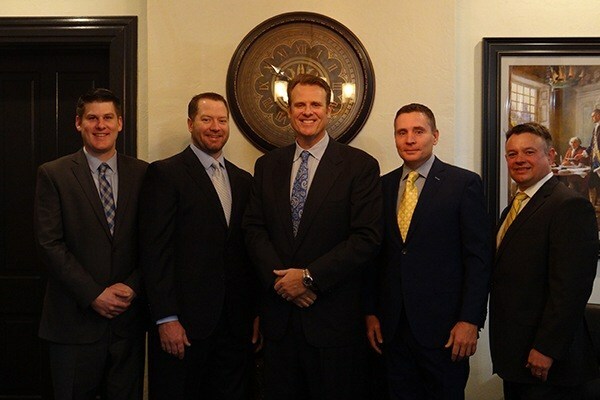 Kuehn, Beasley & Young specializes in all forms of criminal defense work. If you need an appellate lawyer, you can do no better than Kuehn, Beasley & Young. Located in Belleville, Illinois, right across from the St. Clair County Courthouse, Kuehn, Beasley & Young enjoys a diverse practice, specializing in personal injury law, criminal defense, and mediation. Based on our past successes, several members of the legal profession, including lawyers, judges and police officers have retained us to serve as their counsel in personal injury lawsuits and criminal prosecutions. We invite the opportunity to represent you in any of the same capacities. Kuehn, Beasley & Young primarily handles state and federal cases throughout Southern Illinois including St. Clair and Madison Counties, but occasionally handles cases in the Central District of Illinois and the Eastern District of Missouri as well. Initial consultations are free.